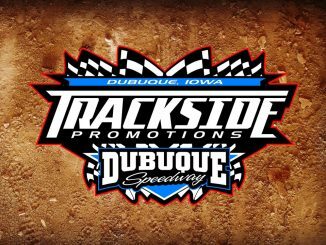 DAVENPORT, Iowa (Sept. 21) – Andy Nezworski won the main event, Justin Kay won the tour title and Jeremiah Hurst won the IMCA Late Model championship when the Deery Brothers Summer Series concluded Friday at Davenport Speedway. Nezworski led every lap of the 40-lap, $2,000 to win caution-free Governor’s Cup feature. Chuck Hanna got close in lapped traffic but couldn’t find a way around the leader. Kay, who’d won the IMCA Modified feature earlier in the program, and Ryan Dolan both passed Hanna on the final lap; ‘B’ feature winner and hard charger Tyler Bruening rounded out the top five. The victory was Nezworski’s Deery career third and first since July of 2015. Nezworski drew the outside pole and had a half a straightaway advantage on Richie Gustin just five laps in. He’d caught the back of the field by the time the 11th lap was scored while Hanna slipped into the runner-up spot at midway. Kay was up from seventh starting to third by lap 24. He’d clinched his career third tour crown by qualifying for the main event and motored past Hanna for second on the white flag circuit. With Deery Series points counting toward national standings, numerous scenarios were in play should Hurst, Matt Ryan and/or Todd Cooney finish in Friday’s top three. None did as Hurst’s eighth place run was the best of the three. Unofficially, he’ll earn the national championship with 803 points while Cooney, who was 15th, and Ryan, who was 16th at Davenport, both finish with 802 points. Both had 10 40-point finishes during the season so Ryan’s nine to eight edge in 39-point finishes gives him the edge for national runner-up. The 43 Late Models entered for Friday’s finale were the most for a Deery event this season. Darrel DeFrance was 14th in extending his perfect record to 490 series events and Dolan was the $250 Sunoco Race Fuels feature qualifier drawing winner. Chad Coyne won series rookie of the year honors by a margin of eight points over Tim Simpson. 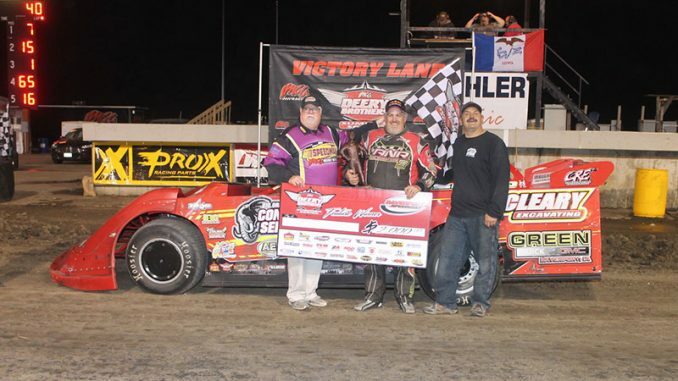 Kay’s $1,000 Modified win put him on the ballot for next year’s Fast Shafts All-Star Invitational. Tyler Soppe earned $500 for his Karl Chevrolet Northern SportMod victory. Deery Series – 1. Andy Nezworski, Buffalo; 2. Justin Kay, Wheatland; 3. Ryan Dolan, Lisbon; 4. Chuck Hanna, Port Byron, Ill.; 5. Tyler Bruening, Decorah; 6. Richie Gustin, Gilman; 7. Chad Holladay, Muscatine; 8. Jeremiah Hurst, Dubuque; 9. Luke Goedert, Guttenberg; 10. Jeff Tharp, Sherrill; 11. Andy Eckrich, Oxford; 12. Nick Marolf. Moscow; 13. Darin Duffy, Urbana; 14. Darrel DeFrance, Marshalltown; 15. Todd Cooney, Pleasant Hill; 16. Matt Ryan, Davenport; 17. Curt Martin, Independence; 18. Joe Zrostlik, Long Grove; 19. Eric Sanders, Sherrard, Ill.; 20. Tim Simpson, Iowa City; 21. Chad Coyne, Orion, Ill.; 22. Joel Callahan, Dubuque; 23. Joe Ross, Thomson, Ill.; 24. Denny Eckrich, Tiffin. Modifieds – 1. Justin Kay; 2. Darin Duffy; 3. Brandon Durbin; 4. Austin Moyer; 5. Kelly Meyer; 6. Matt Werner; 7. Chris Zogg; 8. Joel Callahan; 9. Nathan Hall; 10. Travis Denning; 11. Mike Goben; 12. Greg Durbin; 13. Kyle Madden; 14. Jaden Fryer; 15. Rob McDonald; 16. Chris Lawrence; 17. Steve Johnson; 18. Eric Barnes; 19. Rick Hixson; 20. Bob Dominacki; 21. Derek Wilson; 22. Bruce Hanford; 23. Tony Von Dresky; 24. Tim Hamburg. Northern SportMods – 1. Tyler Soppe; 2. Tony Olson; 3. Gage Neal; 4. Jarrett Franzen; 5. Austen Beccera; 6. Jacob Ellithorpe; 7. Garrett Nelson; 8. Kevin Goben; 9. Randy Lamar; 10. Jake Morris; 11. Jeremy Gustaf; 12. Aaron Mitchell; 13. Justin Beckler; 14. Dwayne Smith Jr.; 15. Mike Adam; 16. Doug Burkhead; 17. Joe Grant; 18. Jacob Arp; 19. Ryan Schilling; 20. Dave Engelkens; 21. Dan Anderson; 22. Bryan Moreland; 23. Rance Powell; 24. Keith Blum. 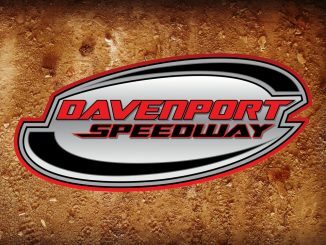 By Mike McGuire DAVENPORT, Iowa (June 15) – Matt Ryan captured his second Petersen Plumbing & Heating IMCA Late Model feature of the season Friday at Davenport Speedway. Tim Simpson and Andy Nezworski each had a shot at the lead before Ryan grabbed the point on lap four. Ryan led the remaining laps for the win. Nezworski held on for second with Rob Toland third. Chuck Hanna and Tim Simpson completed the first five. Eriksen Chevrolet IMCA Modified action saw Mitch Morris take his first feature win of the season. Morris took the lead after a lap four restart. Toland drove to a second place finish followed by Ja­son Pershy, Bob Dominacki, and Greg Durbin, in that order. Twenty-five Modifieds were on hand. Cautions slowed the Hawkeye Auto IMCA Northern SportMod main. When the race was called, Keith Blum was headed to victory lane with his second win of the season. Brandon Setser was scored second with Tony Olson third. Nick Groth took fourth with Tyler Soppe fifth.